Massachusetts home prices increased in 31% in five years. CoreLogic recently released a special report entitled, Evaluating the Housing Market Since the Great Recession. The goal of the report was to look at economic recovery since the Great Recession of December 2007 through June 2009. As you can see from the map, Massachusetts housing increased by 31%. 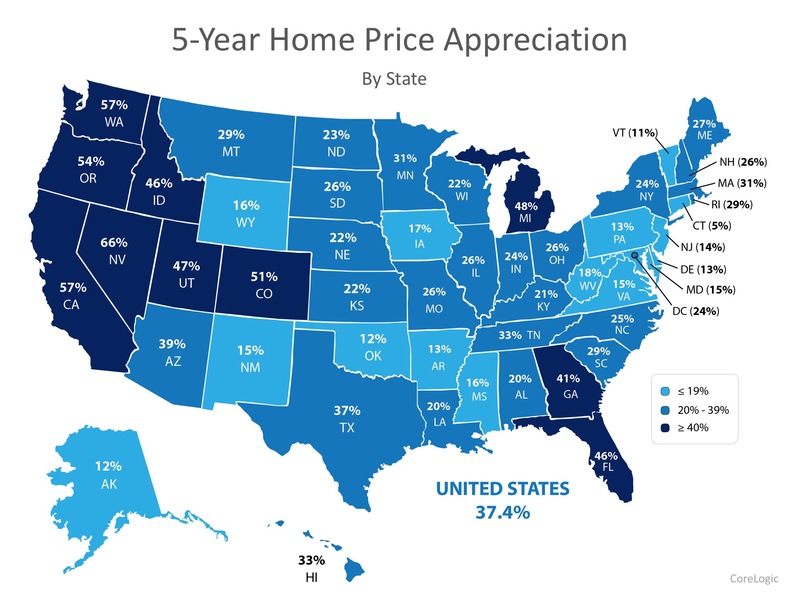 Nationally, the cumulative appreciation over the five-year period was 37.4%, with a high of 66% in Nevada, and a modest increase of 5% in Connecticut. Every day, thousands of homeowners regain positive equity in their Boston condos.